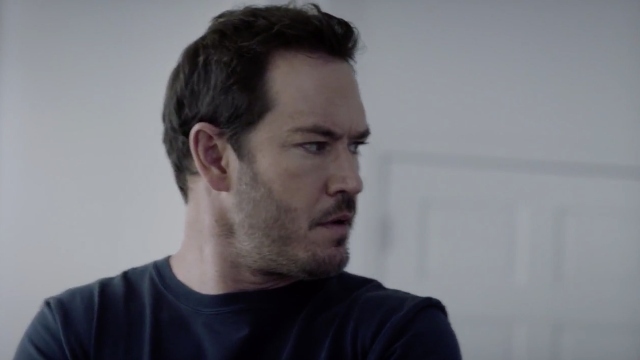 In the previous episode of The Passage, Amy was injected with the vampire virus, and Brad learned of the fate that possible awaits her. What does this next installment have in store? 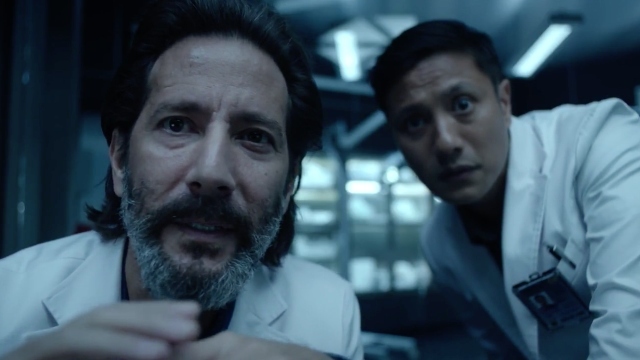 Let’s find out as we recap The Passage episode 4 ‘Whose Blood Is That?’! Amy noticed a sign posted in her room that warned her to alert the doctors if she was experiencing sensitivity to sunlight. Brad alerted the guard that he was experiencing those symptoms, so he asked to speak with Dr. Sykes. Brad was taken to speak with her and asked if him and Amy could be allowed to go outside on occasion. Sykes agreed to get him an outdoor security detail and let Amy go outside every day. Amy was continuing to pass notes to Anthony, he told her of the nightmares he had been experiencing recently. Later that day, Brad ad Amy were outside and he was drawing up basic plans for a tree house. He asked Amy to add her personal flourishes to it and she did so. As the day progressed, the tree house was mostly completed. Brad took Amy to the top of it and showed her the advantageous position the tree house was built in. Back with Anthony, he was slowly exhibiting other symptoms of vampirism, a lack of appetite and sensitivity to sunlight. He began to think back to how he met the woman, whose death resulted in his prison sentence. After awakening from his daydream, Anthony noticed that his teeth were beginning to fall out. Back at the tree house, Amy managed to convince the head of her security team to lend her some binoculars. Amy used them to spy over the border wall to see where exactly Project Noah was located. The scientists of Project Noah continued to be puzzled by Tim’s increased brain activity when compared to the other vampires. Back outside, one of the security agents defected and began to fire his gun wildly. Eventually, the agent, Paulson, managed to shoot the electrical generator, which caused a massive explosion and Project Noah headquarters lost power. Richards took Brad with him to go and negotiate with Paulson on the roof. 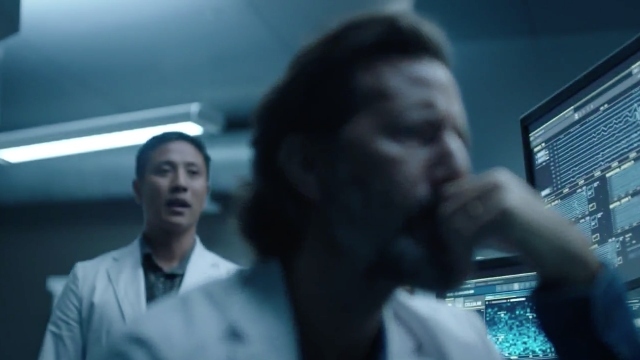 Back with the doctors, they quickly figured out that Tim was stealing energy from the other vampires and was causing the vampire gene to mutate. Due to this, Anthony was nearly dead. Brad arrived on the roof and began conversing with Paulson. Paulson revealed that he had taken a vial of Tim’s blood and had mailed it to someone. Amy had been taken back to her room, she began to experience the telepathic link with the other vampires. She had a mental conversation with Shauna, Shauna explained the whole vampire thing to Amy. Back on the roof, Brad told Paulson that he knew why Paulson was doing this. Brad agreed to help Paulson get Project Noah shut down. 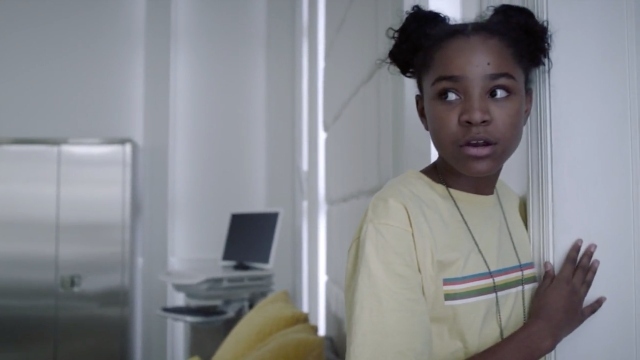 What did you think of The Passage episode 4? Let us know in the comment section down below! The post The Passage Episode 4 Recap appeared first on ComingSoon.net.